Talk about “party like it’s 1999.” The upcoming IPO from e-commerce giant Alibaba is going to smash records for initial public offerings at an already sold-out $21.1 billion, according to Reuters, and it brings back memories of the good old days when stock buyers were clamoring for shares of other Internet sellers like Amazon, eBay, Drugstore.com and the hangdog Pets.com. Yes, there have been mega-IPOs of Internet-based companies since then, like Google, Facebook and Twitter, but they are more ethereal; there’s something about the nitty-gritty trade of shopping sites that is especially captivating. To investors, anyway — apparently Alibaba’s offering was fully subscribed after only two days on the road and like most offerings, the privilege of buying in goes to influential investors with the chances of individuals purchasing any shares just about zero. What’s Alibaba mean to U.S. companies? What opportunities might a growing Alibaba provide for entrepreneurs in the U.S.? How will people who make a living selling onEtsy, eBay, Amazon marketplace, Zazzle, CafePress and and the like have to change their game to compete? Some sellers are finding it a new niche, here’s a piece about one couple taking part in the company’s beta test of “11 Main,” an online mall for American consumers featuring a handpicked set of vendors. Here’s an interesting piece from the German publication Deutsche Welle about “What Western rivals can learn from Alibaba IPO,” that cites services Alibaba provides to vendors and practices like pay-on-receipt that appeal to consumers. How will American e-commerce sites from the giants to small operators adapt to new competition? And this CNNMoney piece “7 things Alibaba users can do,” highlights the company’s breadth of services. 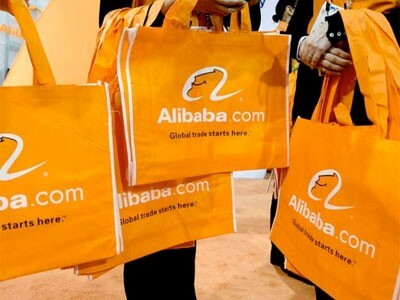 Counterfeit goods and copyright infringement have been of concern; according to this OpenSecrets.org report, Alibaba succeeded in getting itself removed from an Office of the U.S. Trade Representative list of sellers “notorious” for those problems, thanks to brisker lobbying. That might be an angle you can localize, because Alibaba serves as a marketplace for just about any sort of good including consumer products and wholesale or raw materials sold business-to-business. Here’s an example from an industry trade journal, Healthcare Packaging, about how one sector worries about “knock-off” products. Try contacting companies and industry trade groups in your area for their take on a a growing Alibaba presence. And on the flip side, what businesses in your neck of the woods benefit form access to China’s supply chain through a user-friendly intermediary like Alibaba? Here’s an explainer from Forbes about how the company adds value.